Visiting Assistant Professor Hilary K. Snow joins the art history faculty this year as a specialist in Asian art. 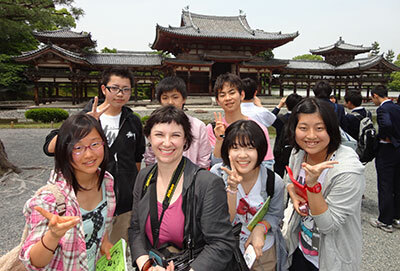 Professor Snow’s research focuses on art and culture from the Japanese Edo period (1615-1868). Her work explores early modern patronage and the mingling of sacred and secular practices at Japanese religious institutions. She is particularly interested in the visual culture of early modern Japanese urban spaces and aesthetic amusements at religious institutions. Her current project investigates the relationship of votive paintings to early modern understandings of the Japanese nation-state. Professor Snow earned her doctorate at Stanford University, following an MA in East Asian Studies (also at Stanford) and a BA in social anthropology and art history from Harvard University. She has been a Visiting Researcher at Keio University in Tokyo and a Fulbright-Hays Fellow. Prior to joining the UWM faculty, Professor Snow was the ASIANetwork/Luce Foundation Post-doctoral Fellow in Asian Studies and Art History at Carthage College in Kenosha. She has also taught at The Johns Hopkins University (Baltimore), Maryland Institute College of Art (Baltimore), and Saint Joseph’s University (Philadelphia).